Welcome to loansharkpro.com board of frequently asked questions. Please, go through the main issues about short-term loans and the peculiarities of our service. If you will not find the answers to your questions regarding the use of the service or short-term loan industry in general, please, contact us to ask directly. Our expert team is happy to help you get along with short-term loans and understand how to make the best of this credit option and use it safely. Online personal loans are medium term loans that are paid off in monthly personals in most cases. The terms of online personal loans provided by our lenders are usually limited to 24 months. The lenders you can be connected with via this website limit the amount of online loans to $3,000. What is the maximum amount for an online personal loan? The total amount of money that you will be permitted to borrow depends on several factors which include the terms provided by lenders, the state in which you live and your unique financial situation. The maximum amount of online personal loans provided by our lenders is limited to $3,000. It’s possible that the lenders in our network will need to perform credit check as a part of the qualification process. In many cases your bad credit or your lack thereof will not be the major factor to influence the final decision to approve or reject your loan request. As long as you can meet the basic guidelines, there is a very good chance that you will be approved for an online personal loan from our lenders. loansharkpro.com works as a matching service, which enables users to access reputable lenders and get better loan options. We don’t have information regarding particular loan products or their terms. Nor do we make any credit decision. If the borrowers who used our service have issues regarding their loan contracts, they should contact their lenders directly. If this is the first time you are offered an online personal loan by a particular lender, there is a chance that you may be asked to fax some information for verification, such as your bank statements or paycheck stubs. If this is the case and you do not have a fax machine, you can visit your local public library or UPS store. They will fax this information for you for a small per-page fee. Can I have more than one online personal loan at once? If your state regulations allow it, you may have more than one online personal loan outstanding at any given point in time. However, when applying for a consecutive loan, you must disclose information about all other loans upon your request. It’s also possible that your lender will perform credit check to obtain all the information on other loans you may have. 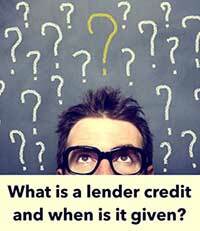 You should check your loan agreement for details or contact your lender directly for more information. Online personal loans are repaid in a series of equal monthly personals. The term and schedule of loan repayment depend on particular loan agreement you close with your lender. Regulations in different states may apply. We have no information concerning your agreement or loan deal with the lender we connected you with. You should contact your lender to get the details of your online personal loan terms and repayment schedule. What is a 72-hour satisfaction guarantee? The regulations of some states make lenders provide their borrowers with a 72-hour satisfaction guarantee option that allows borrowers to return the loaned money in full within 72 hours after the loan agreement came into force without paying additional charges or incurring any interest. Although it is free to request a loan through loansharkpro.com, and you can submit your information via our online form as many times as you need, we recommend that you wait for 72 hours between consecutive form submissions. If you have any outstanding loans at the time you need to take another loan, you are required to disclose this information to your potential lender. Any questions that are directly related to an online personal loan or an offer provided by the lender you are connected with should be discussed with the lender who provides this loan or offer. You will get the lender’s contact information while communicating on your loan terms and have all the details in your loan agreement if you decide to close the deal. Where in the US are payday loans legal?